The Nike Air Max 1 Ultra 2.0 Flyknit Men's Shoe updates the icon with a lighter construction that retains the classic silhouette. Flexible Flyknit allows for an airy feel, while Ultra 2.0 cushioning combines supportive comfort with a durable outsole. 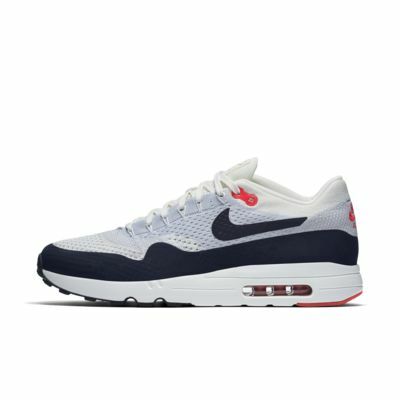 The Nike Air Max 1 Ultra 2.0 Flyknit Men&apos;s Shoe updates the icon with a lighter construction that retains the classic silhouette. Flexible Flyknit allows for an airy feel, while Ultra 2.0 cushioning combines supportive comfort with a durable outsole. Have your say. Be the first to review the Nike Air Max 1 Ultra 2.0 Flyknit.